Grease Duct Cleaning in Norwalk CA | Flue Steam Inc. 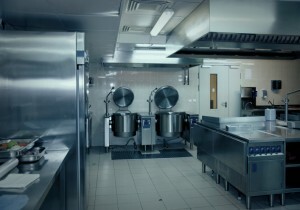 Protect your commercial kitchen with grease duct cleaning in Norwalk CA. 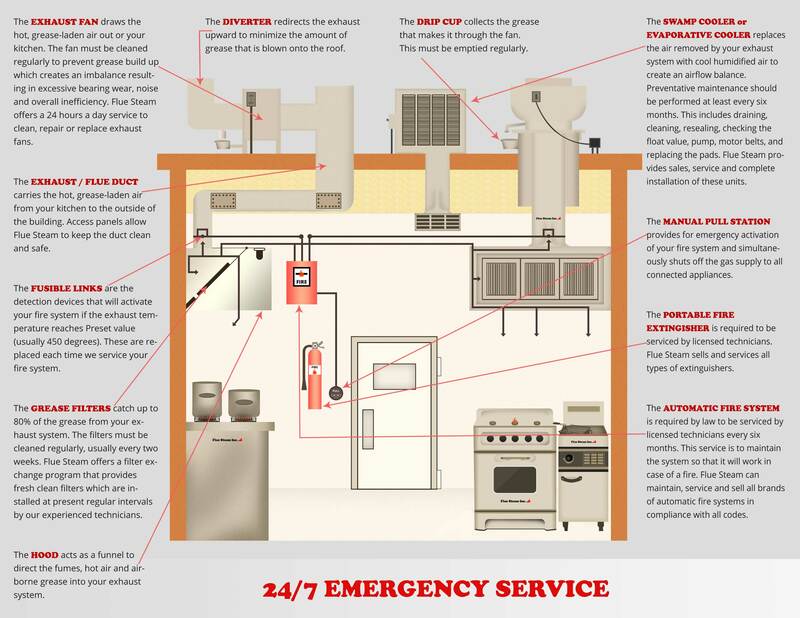 If you own or operate a commercial kitchen, you may find yourself worrying about possible code violations or fire hazards shutting down your business. When it comes to achieving peace of mind in this area, grease duct cleaning Norwalk CA is a great place to start. Just make sure you choose a true professional to provide it. There are many good reasons to trust Flue Steam for all your grease duct cleaning in Norwalk CA. We are a 40-year veteran of the industry. Over the course of our 40 years of experience in kitchen air control and fire suppression, we’ve developed a reputation for excellence in the quality of our work and in the caliber of our people. We know all the ins and outs of relevant fire and safety codes in your local area. Our technicians are certified. Our employees have completed training courses with the International Kitchen Exhaust Cleaning Association, a respected organization of which we are a member. The certifications gained from these courses must be renewed regularly which ensures our employees stay up to date on the latest industry best practices for grease duct cleaning in Norwalk CA. We help you tailor your cleanings to the needs of your business. When it comes to the frequency of grease duct cleaning in Norwalk CA, you may not need to abide by the industry guideline of a hand scraping every month. After all, depending on what you cook, your kitchen ducts might accumulate grease faster or slower than average. At Flue Steam, we use an IKECA comb to help measure the depth of grease in your ducts and determine how fast it builds up and how often you need cleaning services. With our help, you don’t have to worry about wasting money on cleanings before build up has reached a worrisome level or waiting too long between cleanings and putting your property at risk. We make it easy to schedule cleanings. At Flue Steam, we do our best to respond to all requests for grease duct cleaning in Norwalk CA promptly so you don’t risk falling behind on this important safety measure. We also provide convenient stickers that state the date of the last cleaning to help satisfy code inspectors and help remind you when to schedule your next cleaning.